There is an undeniable buzz around the city centre this evening, as a sell-out crowd descends upon Hull City Hall to see the kings of electropop Erasure. As the bodies cram themselves into the venue, the support act Bright Light Bright Light take to the stage. 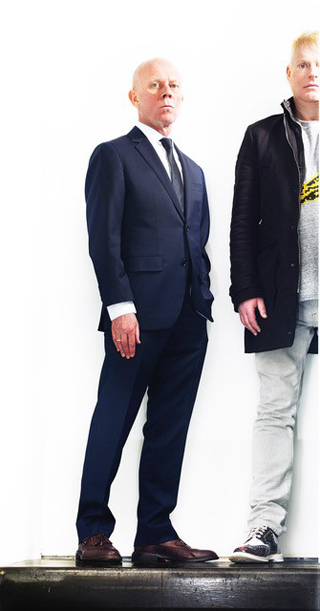 Whilst they are nothing special, looking and sounding like a well-polished Eurovision Song Contest entry, it is always going to be hard when the only people the crowd want to see are Andy Bell and Vince Clarke. Just a short ten minutes between changeovers and now the audience is fit to bursting! Whilst Erasure may have been under the radar in the last decade, their fan base and support this evening is testament to their popularity. The stage hands put the finishing touches to the stage, including a two foot long set list, the likes of which I have never seen before, and there is a distinct hush as the lights go down and the stage is bathed in red light. To each side of the stage are some huge neon boxes, not dissimilar to the ones you may see around the red light district in Amsterdam and the unmistakable Tales of The Unexpected theme tune fills the air, as the backing singers seductively sway behind their screens. Another large neon box stands between them, looking somewhat like an organ stand in a church and we see the unmistakable figure of Vince Clark ascend to the top to take his throne at the keyboards and synths. Emerging from the darkness, Andy Bell drapes himself in a burlesque position over a chair, the lights spark into full neon frenzy as they open with a well-received ‘Oh L’Amour’ which is quickly followed by ‘Ship Of Fools’ and the absolutely stunning ‘Breathe’ from the ‘95 Nightbird album. Andy Bell dressed in a black suit jacket, which has shoulders adorned with melted wax, looks as though he is really up for anything this evening, as long as it involves everyone having a good time. He chats with members of the crowd like they have just popped round for a cup of tea, then asks if he looks like a lesbian geography teacher, before telling his adoring fans that he is just starting them off slowly tonight to get them warmed up on account of the weather. Before you know it we are swept up into ‘Just A Little Love’ from the new album World Be Gone and the theatrical ‘In My Arms’ from ’97. It’s quite endearing to see Andy always look to Vince when they start and end a song, so in tune with each other and connected and passionate about everything they do. There is an amazing mix of new and old tonight and the crowd is lapping up every minute of it. ‘Sacred’ and ‘Sweet Summer Loving’ in particular stand out as gems tonight. Andy twirls his way across the stage in his string of pearls looking amazingly fabulous and hitting each note perfectly as Vince, often accompanying on guitar or neon tambourine, looks very business-like in a sharp grey suit, as he choreographs the whole cabaret. ‘I Love Saturday’ from Say|Say|Say is still a fresh sounding energy-fuelled dance anthem by anyone’s standards, then Mr Bell announces that they are only half way through and that the party was going to start. It is like lighting that blue touch paper, and as the neon light show swings into full 80’s effect, I think the roof is going to come off the place, when the first few notes of ‘Victim of Love’ shimmy out of the speakers. 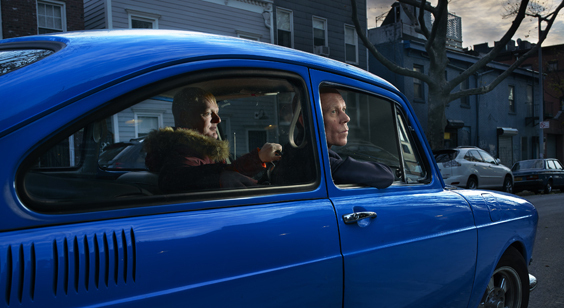 Slowing things down with track ‘World Be Gone’ shows a musical masterclass from Vince Clarke. It is slow and beat driven and lyrically gorgeous and another new track ‘Take Me Out Of Myself’ is exceptional, however I can hardly hear it from the singing of the crowd. ‘Who Needs Love Like That’ takes the roof off for again and I really do think that the balcony is going to give way. The audience is in a dancing frenzy. Andy Bell cavorts round every inch of the stage with such grace and poise, and he still hasn’t sung a duff note all set. He really is the master of all he surveys and the balcony keeps on shaking with ‘Blue Savannah’, one of my personal favourites. I had heard that there would be some ABBA covers this evening, which would have definitely seen me taking a long trip to the bar, however Blondie is the cover song of choice and Andy Bell gives us his own version of ‘Atomic’ which is out of this world! Some more cheeky banter with the audience and Vince and then Erasure completely command the crowd with ‘Drama!’ from the album, Wild. Another run of favourites including ‘Stop’ and ‘Always’ and you can hardly hear anything except the crowd. I have never in my life heard such fine voices at any gig. ‘Here I Go Impossible Again’ is another tune from Nightbird and is a piece of exceptional prose set against striking beats and they end the night on ‘Sometimes’ and yet their masses are still screaming for more! After a quick obligatory five minutes, there is just one encore song, ‘A Little Respect’. The City Hall erupts to volcanic proportions and then as soon as the last neon bulb dims, the spirit of the crowd keeps going, all the way back across the town, and to the car parks and local pubs that are still open. I leave with a new found respect and love for Erasure. As well as delivering electropop goodness, they are not afraid to flex their more experimental muscle on occasions. Andy Bell’s voice still sounds as solid as ever, the vocals were clear and songs that were over 30 years old still sounded contemporary as they neatly nestled between the new tracks. 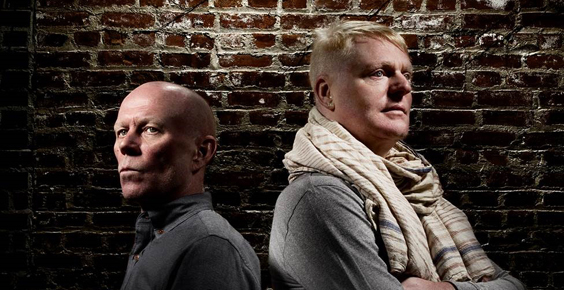 This was a showcase through the entirety of Erasure’s eminent career with hits we have grown to love, and never tire of, over the past three decades. The power of electropop is seemingly irresistible.